FOR ALL YOUR EVENTS, DO NOT HESITATE, CHOOSE THE HOTEL DE FRANCE !!! These menus for the groups are reserved for coach operators or associations from 30 people. Note: for the menu at 21.50 €, the choice of dish must be the same for each guest. Free of chage for driver and guide from 40 people. We have a shop on line selling our homemade products (cassoulet, confit, foie gras …) and we offer to our customers 10% discount for any purchase in our shop. For all services, we accept payments: cash, check, credit cards (Visa - MasterCard), holiday vouchers and breakfast vouchers. Note: We can not control the many websites that refer to us without asking our opinion . 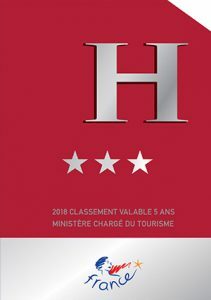 Only the prices displayed on our website www.hdefrance.com are true.